To gain free admission to the museums and other tourist attractions listed in this guide, simply show your Lyon City Card at the ticket desk. 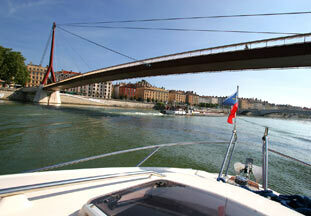 Simply show your Lyon City Card at the ticket desk to gain free admission to the attractions included in Lyon City Card such as the boat trip on the river. 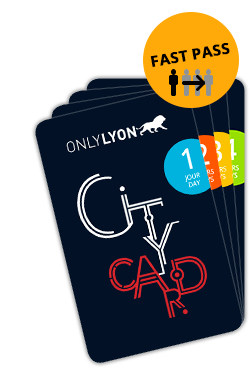 With some attractions, your Lyon City Card gives priority entry; you avoid lines. A saving of time and money are guaranteed! Only 2 activities and your card is paid for! The transportation pass included in Lyon City Card is activated on the first entry on the TCL network. One walking tour is included in the Lyon City Card. Booking compulsory before your arrival by telephone with your card number. On showing a valid Lyon City Card, you will also be offered discounts on many leisure activities : bike tours cyclopolitain, Fourvière Aventure, Lyon the Grand Tour Bus, Aquarium, deposit luggage All in City,theaters and opera, tickets for Maison de la Danse, etc. 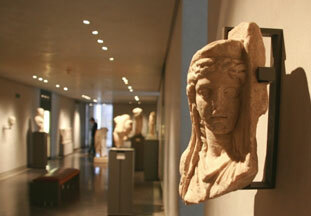 Exceptional offers are regularly proposed according to the cultural events of Lyon in conjunction with Lyon Tourism. Discounts and advantages in department stores (Printemps, Galeries Lafayette, Hard Rock Café, The Village, Confluence shopping centre). Explore the relationships between the Heavens and the Earth through ritual costumes: the 700 m² immersive exhibition space offers a chance to discover the traditions and customs of the Land of the Rising Sun. 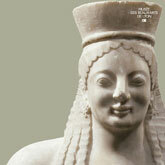 Art and Material – Please, touch! Sculptures are made to be looked at, appreciated by moving around them to take in their sensuality, energy, curves or movement... Live a new experience! 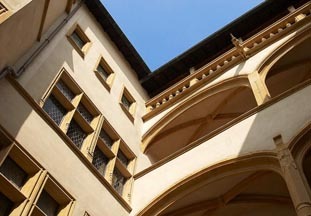 It provides free access to all public transport in Lyon (bus, metro, tram and funicular, except May 1), as well as park-and-ride facilities, 22 museums and their temporary exhibitions, a guided tour, a river cruise (excluding the special Fête des Lumières programme)and numerous discovery activities. It also offers numerous advantages and reductions for other shows and activities (Guignol puppet show, etc.). The ticket is valid for 1 day (from 5 am to the end of service at 12:30 am; not for 24 hours) To be validated using the machines provided, for the first journey and all subsequent journeys, including connections (condition for validity). The Lyon City Card is reserved for individuals. For groups of more than 10 people, access to attractions is not guaranteed. The offer includes a return trip on the Rhônexpress shuttle, between Lyon–Saint Exupéry Airport and Lyon city centre, which can be used independently of the days you decide to use the Lyon City Card. The card provides free access to all public transport in the Metropolis of Lyon (bus, metro, tram and funicular, except May 1), as well as park-and-ride facilities, 22 museums and their temporary exhibitions, a guided tour, a river cruise (excluding the special Fête des Lumières programme). 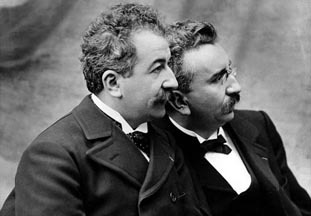 It also offers numerous advantages for other shows and leisure activities (Guignol puppet show, opera house, etc.) . Pick up your Lyon City Card at the Airport Welcome Desk – located between Terminal 1 and Terminal 2 – open every day of the week from 8 am to 7 pm, except on the 25th of December and the 1st of January. 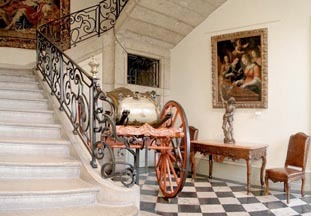 It provides free access to all public transport in Lyon (bus, metro, tram and funicular, except May 1), as well as park-and-ride facilities, 22 museums and their temporary exhibitions, a guided tour, a river cruise (excluding the special Fête des Lumières programme) and numerous discovery activities. 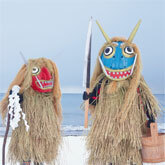 It also offers numerous advantages and reductions for other shows and activities (Guignol puppet show, etc.). The ticket is valid for 1 day (from 5 am to the end of service at 12:30 am; not for 24 hours) To be validated using the machines provided, for the journey, including connections (condition for validity). The Lyon City Card is reserved for individuals. For groups of more than 10 people, access to attractions is not guaranteed. A reduction is available on presentation of a valid student card. Concerns children aged 4 to 15 years only. 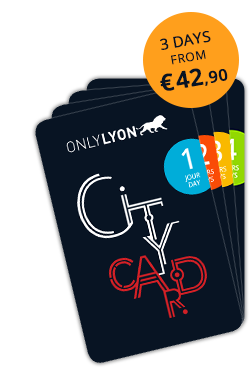 It entitles the holder to the same services and conditions as the Lyon City Card for adults, but may not be issued unless an adult Lyon City Card is purchased at the same time, with a maximum of 3 junior Lyon City Cards for adult 1 Lyon City Card. Service providers are entitled to refuse free access with the junior Lyon City Card if the holder is unable to provide proof of age. The ticket is valid for 2 days (from 5 am to the end of service at 12:30 am; not for 48 hours) To be validated using the machines provided, for the first journey and all subsequent journeys, including connections (condition for validity). The Lyon City Card is reserved for individuals. For groups of more than 10 people, access to attractions is not guaranteed. It provides free access to all public transport in Lyon (bus, metro, tram and funicular, except May 1), as well as park-and-ride facilities, 22 museums and their temporary exhibitions (including priority access to the Confluences Museum), a guided tour, a river cruise (excluding the special Fête des Lumières programme) and numerous discovery activities. It also offers numerous advantages and reductions for other shows and activities (Guignol puppet show, etc.). The ticket is valid for 2 days (from 5 am to the end of service at 12:30 am; not for 48 hours) To be validated using the machines provided, for the first journey and all subsequent journeys, including connections (condition for validity). The Lyon City Card is reserved for individuals. For groups of more than 10 people, access to attractions is not guaranteed. A reduction is available on presentation of a valid student card. 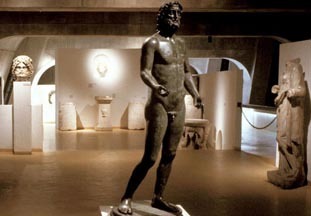 It provides free access to all public transport in Lyon (bus, metro, tram and funicular, except May 1), as well as park-and-ride facilities, 22 museums and their temporary exhibitions, a guided tour, a river cruise (excluding the special Fête des Lumières programme), and numerous discovery activities. It also offers numerous advantages and reductions for other shows and activities (Guignol puppet show, etc.). The ticket is valid for 3 days (from 5 am to the end of service at 12:30 am; not for 72 hours) To be validated using the machines provided, for the first journey and all subsequent journeys, including connections (condition for validity). The Lyon City Card is reserved for individuals. For groups of more than 10 people, access to attractions is not guaranteed. Pick up your Lyon City Card at the Airport Welcome Desk – located between Terminal 1 and Terminal 2 – open every day of the week from 8 am to 7pm, except on the 25th of December and the 1st of January. It provides free access, for three consecutive days, to all public transport in Lyon (bus, metro, tram and funicular, except May 1), as well as park-and-ride facilities, 22 museums and their temporary exhibitions, a guided tour, a river cruise (excluding the special Fête des Lumières programme) and numerous leisure activities (Guignol puppet show, etc.) 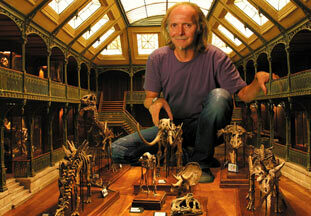 It also offers numerous advantages and reductions for other shows and activities. 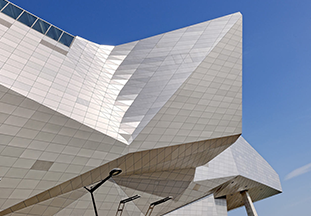 (including priority access to the Confluences Museum). The ticket is valid for 3 days (from 5 am to the end of service at 12:30 am; not for 72 hours) To be validated using the machines provided, for the first journey and all subsequent journeys, including connections (condition for validity). The Lyon City Card is reserved for individuals. For groups of more than 10 people, access to attractions is not guaranteed. A reduction is available on presentation of a valid student card. Concerns children aged 4 to 15 years only. 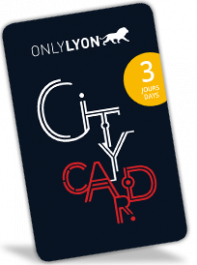 It entitles the holder to the same services and conditions as the Lyon City Card for adults, but may not be issued unless an adult Lyon City Card is purchased at the same time, with a maximum of 3 junior Lyon City Cards for adult 1 Lyon City Card. Service providers are entitled to refuse free access with the junior Lyon City Card if the holder is unable to provide proof of age. The ticket is valid for 4 days (from 5 am to the end of service at 12:30 am; not for 96 hours) To be validated using the machines provided, for the first journey and all subsequent journeys, including connections (condition for validity). The Lyon City Card is reserved for individuals. For groups of more than 10 people, access to attractions is not guaranteed. The offer includes 1 return journey via the Rhônexpress tram shuttle service from and to Lyon Saint-Exupéry Airport and the centre of Lyon. The ticket is valid for 4 days (from 5 am to the end of service at 12:30 am; not for 48 hours). To be validated using the machines provided, for the first journey and all subsequent journeys, including connections (condition for validity). The Lyon City Card is reserved for individuals. Pick up your Lyon City Card at the Airport Welcome Desk (between Terminal 1 and Terminal 2), which is open every day of the week, from 8 am to 7 pm, except on the 25th of December and the 1st of January.